Whole Foods Market (WFM) engaged Michael Singer Studio to address what were described as dull, disorienting, formulaic shopping center developments in their Florida Region. The challenge put forth was to demonstrate how a shopping center could be distinctive, environmentally healthy and socially dynamic instead of being the catalyst for local resistance. WFM Orlando was a case study project for leveraging the Market’s position as the anchor retailer and engaging the developer to create an enhanced building shell, public space and a naturalized landscape. The Singer Studio Design Team worked with Kelly Mills at WFM to integrate the Singer Studio conceptual and schematic designs with final designs developed by the architect and landscape architect of record. The built concepts include extensive awnings, clerestory lighting, skylights, low-e glazing, living walls with in-wall planters, a courtyard dining space and naturalized parking lot, buffers and bioswales. 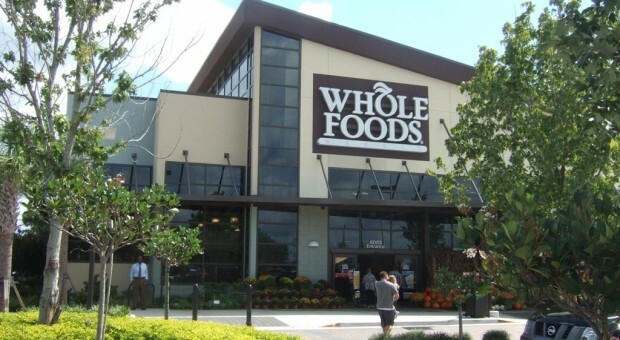 WFM Orlando was a successful demonstration project for gradually moving developers towards more sustainable and well-considered shopping centers. Calen Colby and Mercer Bonney at Oest Associates Inc.